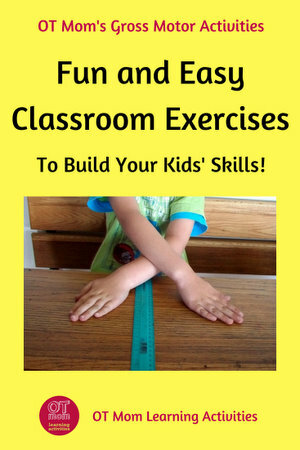 Do you use gross motor exercises in your classroom? There have been quite a few research papers and media articles recently on how exercise can affect a child's performance in the classroom. Generally, most of these articles show that kids concentrate better after some form of physical activity, and there have also been reported improvements in math, language and memory. Savvy teachers have been incorporating general gross motor exercises such as running on the spot and jumping jacks, or even just stretching exercises as quick breaks between lessons to boost kids’ concentration. However, I would like to go one step further and suggest some classroom exercises that may have a more focused effect. What kind of movement is best? A recent series of articles in the Washington Post highlighted the experience and recommendations of an occupational therapist who sat in on a regular classroom. She pointed out that merely taking a quick break to run on the spot or stretch is beneficial to a point, but the best exercises are the ones that give what we OT's call vestibular stimulation – in other words they stimulate the hair cells of the vestibular system in the inner ear. 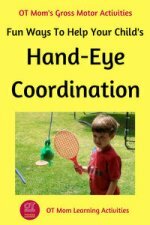 It can be hard to understand, but this system helps the child develop the skills they need in other areas such as coordination and balance skills, calming down, becoming more organized and becoming more focused. Read any of the sensory processing books that I have reviewed to help understand this in more depth. So we don’t just want the body to jiggle and stretch a bit, we want the head to move! We need to give kids exercises that offer vestibular stimulation! How do we do this in the classroom? Not easy when space is limited, but here are a few ideas that you could incorporate! Important! Some children are over-sensitive to vestibular stimulation, even during simple activities like these. If a child becomes fearful, nauseous, pale or sweaty during these activities, please stop immediately and consult your health professional! 1) Picking Up... and Up... and Up! Have the kids place 10 pencils (or other stationery) on the floor, and then have them bend to pick up one item at a time and then place it on their desks again. The repetitive up and down bending moves the head upside down and then right-side-up again and gives some good vestibular stimulation. Get the most out of the activity by having the kids bend and rise while you clap a rhythm. 2) Heads, Shoulders, Knees and Toes! Do the “heads, shoulders, knees and toes” song – another exercise that gets kids’ heads going up and down as they carry out the actions of the song, and it is done on the spot, so it is great for classes with limited space! Point out a picture/focal object on each wall of the classroom (eg the clock, the birthday chart, a window) and ask the kids to spin jump on the spot to face the item you call out. Change the direction of the spin from left to right and try 180 degree turns as well as 90 degrees. As a homeschooling mom, I send my kids out into our garden for regular trampoline jumps and swinging (20 jumps, or 20 high swings) and I also do the head and shoulders song to “wake them up” between lessons or when I see they are losing focus. You can also encourage them to spin on roundabouts, roll down hills and twirl during recess and gym class for additional vestibular stimulation. 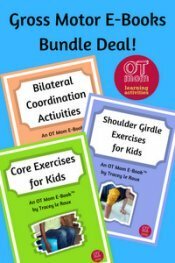 Here are a variety of free or cheap printables that can inspire you to incorporate gross motor exercises into your classroom routine. 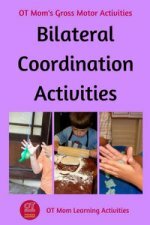 Or check out Linda's indoor recess activity ideas at Primary Inspiration! Brain Breaks are just the most fun way to take a classroom exercise break! I use them in my homeschool classroom as well as anywhere I have a bunch of kids together for any period of time. Simply print and cut out the cards, and store them in a handy container so you or the kids can pull one out whenever a "brain break" is needed. You can make your own, of course, but these are really cheap, and a great time saver! These are my favorite Brain Breaks - click on the images to view the products. 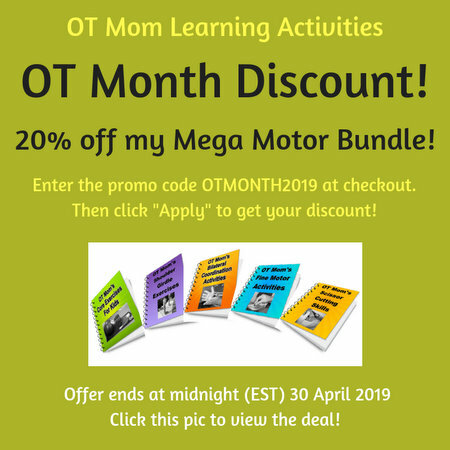 (These are affiliate links that will take you to Pink Oatmeal's site - why reinvent the wheel when this OT has done an amazing job already!). One basic movement per card, with lots of suggested variations for each. My kids love these! Ideal for moving on the spot - see how many you can do in one minute - or 30 seconds! 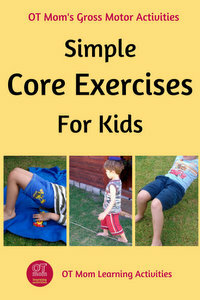 Photographs of real kids doing the exercises - great animal themed brain breaks for preschool! 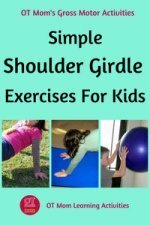 These free PDF downloads will give you simple exercises you can do in the classroom, that can help kids work on core stability, shoulder girdle stability, bilateral coordination, hand-eye coordination and crossing the midline. Feel free to share by linking to this page, not to the actual documents, please!